Esquerra's [ERC] municipal group in the Barcelona city government will present a motion of support for the celebration of a referendum on independence in the city. It will not do so in the meeting this Wednesday, which is the last of the year, but instead will probably wait until next month, "when we see that it will go somewhere," said Jordi Portabella. He thinks that it will be almost impossible to hold the referendum properly on April 25th but did not discard September 13 as a possibility. Some of the organizers of the referendums of this past December 13, like Carles Móra, have proposed, though not formally, that the referendum in Barcelona be held on September 13, which will be the first anniversary of the first referendum. That would allow more time for organizing and would also have added symbolic value. That possibility is looked upon favorably by Portabella, who insists that "any date with an added value, as long as the process is well defined, will be welcome. But we are not yet ready to set the date." During the same week that the December 13 referendums were held, the group Barcelona Decideix [Barcelona Decides] presented its initiative of holding a referendum in Barcelona on April 25th, but the criticisms from groups and organizations who had not been previously consulted eventually made the date conditional. Portabella thinks that for the referendum to work, and for the turnout to be high, it's important there there be as many polling places open as in regular elections. Vicent Partal is the director of Vilaweb. This article originally appeared on Vilaweb's editorial page on 17 December 2009. The results of December 13th should not be lightly extrapolated, that much is clear. The number of towns and cities where voting took place numbered in the tens, and even if they were very representative, they do not give a full portrait of the country. That said, the definitive data indicates for the first time that we could win a referendum on the terms set by the European Union. The terms for recognizing independence, that the European Union defined after the referendum in Montenegro, imposes a qualified majority, not a simple majority. A qualified majority is defined by two parameters: at least 50% of the population must vote and the vote in the affirmative must be, at least, 55%. So fine, in the case of Montenegro, the result of the referendum was accepted by the EU with 47% of the total voters in favor of independence. Because (and it's important to insist on this point) the condition is not that 55% of the census* vote in favor, but rather 55% of those who vote, as long as the number of voters is at least 50% of the census. And that is a much lower bar than it seems. For example, suppose that exactly 50% of the census votes (and by doing so, completes the first condition), there would be enough if just 27.5% of the census voted in favor of independence, since this is the quantity of necessary Yes votes that would represent 55% of the total votes in order to complete the second condition. Back to it, at any rate. To begin, the final returns from Sunday indicate that 26.01% of the total number of registered voters opted for Yes. Said in another way: we know that 26.01% of all of the citizens of at least 16 years of age included in the census of the municipalities where the referendums were held said Yes to independence. But you have to keep in mind that the census that was used is not the census that the European Union would accept, but rather is larger, since it includes immigrants and 16 and 17-year olds. And an analysis of the data indicates that, especially among the immigrant population, abstention was very high, a fact that lowers the weight that affirmative votes would have in an official referendum. It is clear, then, that setting aside the vote of immigrants and youths of 16 and 17, the affirmative vote would easily rise as high or higher than 30%. And that would mean, simply, that if 50% of the census voted, instead of 27.5%, even if all the other votes were negative, that the referendum would have been successful, conforming to the terms set by the European Union. Because if there had been 50% turnout, I'll say it again, only 27.5% need vote in favor of independence in order to comply with the conditions imposed by the European Union and pass the referendum. The data is, without a doubt, insufficient and incomplete. But it indicates one thing that is completely new in the political history of our country: today we have plenty of indicators that lead us to believe that winning a referendum on independence in the Principat is no fantasy. And that's no joke. *census - In Catalonia, you register yourself ("empadronar-se") with the census when you move to a new residence. You must be listed in the census to be able to vote, marry, enroll your children in local schools, etc. You do not have to be a legal resident of Spain to register yourself with the census. Note that in contrast with the system for example in the US, there is no separate registration specifically for voting. *Principat - refers to the four counties of the Principat de Catalonia: Barcelona, Girona, Lleida and Tarragona. "Països Catalans" or "Catalan Countries" is comprised of the Principat, Valencia (including the counties of Alacant and Castellò), and the Balearic Islands (and sometimes more). Albert Montón is a producer and screenwriter of documentary films. This originally appeared on his blog. We didn't have to hold a referendum to see that the turnout would be "low". And I write it in quotation marks because, even though that's what everyone said, that's not what I say, not by any stretch. The Spanish press had their headlines written long ago: pantomime, ridiculous, witchcraft... a smattering of independentists. I'm sorry to have to go back to Brunete*, but it seems to me that it is a demonstration of the fact that independentism here still needs to get past a certain colonization — not political, economic, or cultural — but mental. We still think too often in the terms and language that Spain sets for us. A turnout of 27% is really low, they say. And we accept it. Sunday, it was barely 8 pm, the polling places in Vilafranca were filled with sad faces like poems. Hardly anyone came, only 23%, they said. But you just can't compare it with official elections. First, because this one wasn't official. And second, because one of the choices, the No vote, was totally boycotted, on purpose, to make it fail, to make it look bad. They're not comparable. A non-official referendum, organized completely at the grassroots level with spare change — and they didn't even spend it all —, and with an explicit boycott of one of the options, that received a 27% turnout, is a robust success, as was pointed out in the international media. Indeed, to compare what was said in the international papers to what was written in the Spanish press is like comparing what the world says about a banana republic with what the current dictator's loyal outlet dishes out. And keeping in mind that almost all the votes cast were for Yes (95%), we can say that one out of every 4 Catalans invited to the polls gave their explicit support for independence. It's important to note that one out of 4 Spaniards votes for PP in the legislative elections and one out of every four votes for PSOE. The two together make up the "two Spains", or so they tell us as well. So, we can affirm that independentism has the same prevalence in Catalonia as either one of the two Spains on their home turf. Not bad at all, because in addition, the referendum was not even official in contrast with the legislative elections which most certainly are. However with those results, I would dare to say that counting all the municipalities in an official referendum, the No vote would hardly have a chance of winning. It's clear that the 73% that didn't vote wouldn't all vote No, as the Spainist propaganda implies. With a turnout of 70%, the Yes vote would win handily, and you'd have to get to about 85% for the No votes to even have a chance, although it's hard to imagine how they'd mobilize the votes for that option, without any grassroots support. It's obvious that neither can we extrapolate the results to the rest of Catalonia. How areas like Barcelona, the metropolitan area that surrounds it, or Tarragona would act is anyone's guess. But it's also true that we are at the beginning of everything. And the conclusions must be positive. In Spain, the media has to give their clients what they ask for, but those that are in the know are worried. With reason. We want to express our solidarity with all of people who suffer in order to defend the freedom of expression, attacked by a Spanish State that is incapable of accepting the democratic path to liberty. Egunkaria Aurrera! 'Catalonia will be independent or it will not be.' With these words, the executive director of Osona Decideix, Alfons López Tena, closed his presentation in Vic after announcing the definitive results of the referendums on independence this Sunday. A proverb adapted to perfectly capture the meaning of the moment that we are living. Almost 200,000 people stood up and participated in a set of referendums organized by the grassroots with the absolutely necessary collaboration of thousands of people and various distinct political parties — to varying degrees — with a hugely successful turnout. With errors and viewpoints of all hues, but no-one can deny that what happened on the 13th of December was an exceptional example of political participation. Only the enemies of Catalonia can dilute our victory. No-one has the right to spoil our happiness in seeing thousands of people who voluntarily and forcefully exercised their right to decide. Now we need a unifying force to achieve independence. As we said on Sunday, if we want to, we can, and that is a clear conclusion. All we Catalans are independentists, even those who don't yet know it. Explaining the advantages of independence to open their eyes is the work of more than a million Catalans (between 25 and 30% of the population) who are already cognizant of it. To get there, we need less individual posturing and more unity of action. The powers that be and the "Spains" have trembled, now we cannot let ourselves fight useless battles that go nowhere. The enemy is without, not within. Among are true enemies, there are those that quietly curtailed the success of these referendums. Like the MP from PSC Joan Ferran who pressured TV3 to silence its coverage, Josep Mª Sala (accused in the Filesa case) and the manipulation of the Regional Houses, the MP from PSC Mohammed Chaib who instead of defending Human Rights and worrying about the freedom of the activist Aminatu Haidar, spent his time pressuring Moroccan imams to repress the vote in immigrant communities, or the organization secretaries of PP and PSC who moved heaven and earth so that their members would not partipate in the referendums, especially those who expressed a certain affinity. We independentists are a majority, the Spaniards know it and they don't waste time fighting each other. Only by explaining the truth will we be convincing. Does anyone have a doubt that if we were independent, the Line 9 of the Metro would already be completely ready, the trans-highway widened and improved, the salary and pensions of all Catalans would be higher, we wouldn't have to play sidegames with our National sports teams, we would have complete management of our airport, we would decide with whom we wanted to express solidarity and support and we would even bring to justice our own criminals? Can anyone doubt that, even if we make mistakes, all citizens, from wherever they come, would live better and would be happier? Isn't it worth it to fight democratically for the right to be normal? Let's stop messing around and start working together for independence. The coordinator of Osona Decideix [Osona Decides], Alfons López Tena and the leaders of the Coordinadora de Consultes [Referendums Coordinator] Uriel Bertran and Carles Móra, made the peace on Wednesday after two days of slinging accusations. Today they demonstrated the new unity of independentism in front of the Parliament of Catalonia and looked toward the next referendums on independence. This morning, López Tena and Móra breakfasted together in Vic where the jurist [López Tena] explained that the strategy to follow should be that of Osona, looking for the maximum consensus and avoiding parallel initiatives like the ILP. Móra accepted Tena's reasoning and has already announced that he will distance himself from the independentist declaration that will be presented tomorrow, and that he will also disconnect himself from the ILP that is hoping to force a binding referendum on independence. As reported by 9Nou [the new 9], this Wednesday morning the mayor of Arenys, Carles Móra and the coordinator of Osona Decideix, Alfons López Tena, had breakfast togeether in the 'La Terra' [The Land, could even be translated as the 'Catalan Land'] club in order to demonstrate the now peaceful relations between the two organizations. This midday the jurist [López Tena] and the MP for ERC Uriel Bertran will have lunch together and then will hold a press conference together in front of Parliament in order to speak about the organization of future referendums on independence. Saül Gordillo is a journalist and director of the Agència Catalana de Notícies [Catalan News Agency]. This is from his blog. Perfectly acceptable turnout (30%) when you consider that it was a symbolic referendum, without any actual legal heft. Overwhelming victory for the Yes vote (94.71%). 200,000 people participated in a democratic marathon without precedent. Not only for the excellent organization, for the noteworthy civic-mindedness, for the ability to mobilize the independentists on the street, for the enormous broadminded sovereigntism that brought together all these referendums, but also for the beginning of the feeling that they suppose. Arenys de Munt was first on the trail, but what happened this weekend was much more important. Counties brimming with municipalities, and a bunch of towns besides, up to 167, including metropolitan cities as important as Sant Cugat del Vallès (25.48% turnout, with 15,048 votes). The movement grows and the grassroots model for the referendums has multiple repercussions. Independentism organizes itself and gives a lesson in turnout, seriousness and rigour. Also of collective boldness and hope. There is a social strength that this Sunday no-one could look down on. Look what González Pons (from the PP [Conservative Political Party] said. They have no legal but much political value. They don't shift even a comma of the current legal system, but they represent a notable step forward in the struggle for the national liberties of the country. From the PSOE, in contrast, Chaves insists on sneering, now with more care from the socialists and governing Spaniards than they had with the referendum in Arenys de Munt. They got that lesson anyway. But the true success of the 13th of December is not, despite what many analysts say, the repercussions that this may have in Madrid, in the midst of the current soap opera that is the finding of the Constitutional Court. The Estatut [Statute of Autonomy upon which the Court will render a verdict] and the finding don't matter a whit to those who voted this Sunday. The Statute has lost the focus for these, they have already moved on. This Sunday, the debate was elsewhere, it was not about the Statute so heavily edited by Moncloa [the Spanish Whitehouse]. The success of 13D, therefore, is an internal key: lose the fear, position the independentist debate on the street, in the center of the political discussion, use it as a strategic wedge in the upcoming elections (Parliamentary, local, etc.) and unbalance the two axes of Catalan politics — right-left and Catalanist-Spainist — in favor of the nation. The other victory of 13D, following in the footsteps of what happened in Arenys de Munt, but now multiplied by the editorial in Le Monde, and the coverage by the BBC, is the widespread resonance in the global press. Which in turn had an important impact on coverage by journalists in Catalonia itself. One small push in the fight against the self-loathing practiced to date by some media outlets when they speak about independence. A victory thanks to the globalness (and to the Internet in part) and to the Catalan Formula: the polls. The polls are the key to everything. This icon awakens no uneasiness, except in Spain, of course. Here and on an international level, as well as for a model for other nations without their own State, the Catalan solution of civilized polls is an authentic lesson. The message is very clear. We want to vote. We want to do it for real one day. Everyone. And with the real power to decide. Some 200,000 out of the 700,000 eligible voters went to the polls in the 166 municipalities in which they were able to decide today whether Catalonia should become an independent state within the European Union. These are provisional numbers given by the Coordinadora Nacional de la Consulta [National Coordinator for the Referendum]. Little by little the results are being made public, town by town, and you can follow the returns on this special page on Vilaweb. In the vast majority of municipalities, the turnout was easily more than 20%, and in a few it was even higher than in other official elections, including the referendum on the Estatut [Statute of Autonomy] of 2006; this is the case for example, of Taradell, in which 2,608 voters have gone to the polls today. This was 954 more than voted in the European elections earlier this year, 803 more than who voted on the referendum for the European Constitution and 121 more than who voted on the referendum for the Estatut. In some other towns, the turnout was much lower, as in the case of Roses (10.4%) and Vilanova i la Geltrú (15.6%). The coordinating committee says it is satisified with the turnout and the mayor of Arenys de Munt, Carles Móra, spoke of the "overwhelming triumph of sovereigntism". The spokesperson for the coordinating committee, Uriel Bertan, explained that the turnout was highest where they were able to work in "equal conditions" as the institutions have done in other elections. Out of the 700,024 Catalans at least 16 years of age—including registered immigrants—called to vote on independence, this Saturday the residents of the smallest town in Catalonia, Sant Jaume de Frontanyà, population 21, was the first municipality to complete the referendum after the pioneering Arenys de Munt. In total, there were 167 municipalities that held referendums, counting Sant Jaume de Frontanyà, spread out over 29 Catalan counties. The largest town where the vote was held was Sant Cugat del Vallès, where the mayor, Lluís Recoder (CiU), voted with an absentee ballot ahead of time, and the county with the most towns participating was Osona, with a total of 35. The 252 electoral colleges and 564 tables opened, as on any other election day, at 9am and closed at 8pm. All of the data was contained in a central computer system that guaranteed that there was no electoral fraud, and that it was impossible to vote twice. In addition, there were representatives from all of the parties that supported the referendums: CDC, ERC, CUP, EPM's (in conjunction with ICV), and RCat, among others. The results also were higher than the number of votes obtained in the last elections by the parties in favor of the "yes". In Berga, 4,706 people voted, of which 96.97% voted yes, 81 deposited No papers, 34 votes were blank, and 21 voted nothing. The sum of the votes to the parties that supported the campaign for a yes vote represented 4,085 votes (the sum of CiU, CUP, ERC, and PRC), a figure that was also surpassed by those who voted in favor of independence. At 1pm in the afternoon, 121,500 Catalans have already taken advantage of their right to decide in one of the 166 municipalities that today celebrate a referendum on the Independence of Catalonia. This figure is about 15% of the national electoral population. It's important to keep in mind that the participation in official electoral convocations is generally offered at 2pm in the afternoon, and with one hour more of voting, participation in the referendum on the Estatut was at 20%, on the European Constitution was 21% and in the last elections for the European Parliament was 19%. This 17% is without a doubt a significant amount that the political parties will have to take into account in the future. At 1 pm 16.4% of the elegible population had voted in Osona; in Vic it was 19.1%. The total provisional participation, without counting absentee ballots, in the referendum on Independence for Catalonia that is being celebrated today in the county of Osona, counting data at 1pm is 16.4%. In the case of the capital of the county, Vic, this figure climbs to 19.1%. Osona Decideix [Osona Decides] sees this data very positively, since it is in line with the participation in other elections even though they're counting the information with one hour less of voting (since participation in other votes has generally been counted at 2pm). In the case of the referendum on the Estatut, in Osona the vote was 23.54% and in Vic 23.69%. Originally published in directe.cat on 13 December 2009 at 14:42. The prestigious Parisian newspaper, Le Monde, opens today's edition with a front page article about the referendums for independence taking place on December 13 and on its inside pages is running an editorial that says that what is happening in Catalonia should be getting the attention of the European Union. The newspaper's top stories include coverage of the summit in Copenhagen as well as one titled, "Nationalist Catalans organize a referendum". The article's byline carries the name of Vic Jean-Jacquies Bozonnet, que underlines the importance of the immigrant vote. More important still, however, is the publication of an editorial in the newspaper titled "Le Mal Catalan" [roughly translated as "The Catalan Unease"] that demands that Europe pay atention to the phenomenon that is happening in the Principat. The editorial describes the events that will happen on Sunday and affirms that "Catalonia is not the only region in Western Europe that is working on its desires for emancipation," naming also the Basque Country, Flanders, and Scotland. According to Le Monde, the existence of the European Union has given these nations a "peaceful, common framework" that lets us imagine a "break without violence." "Modifying the old borders nowadays is no longer synonymous with violence." The French newspaper also says that the expansion of the EU towards the East has given wings to Catalan Nationalism "with reason" since "these countries are smaller and have a weaker economy" than Catalonia. First it was Arenys de Munt on September 13, on Saturday, 161 towns more will add their voices, and next February and Abril the wave will grow higher, with places like Sabadell, Girona, and finally, Barcelona. The Catalan capital will also vote on independence, and this Wednesday, the citizen-led coordinator in charge of organizing the project will introduce itself. After two months of contacts and meetings, the group Barcelona Decideix [Barcelona Decideix] will introduce itself at 1pm in front of the Sagrada Família, with representatives from the different districts and organizations of the city. The referendum in Barcelona could be the final step towards independence, given the decisive weight of its population within the totality of the Principality and the immense international reaction that a referendum on independence in the Capital city would certainly have. 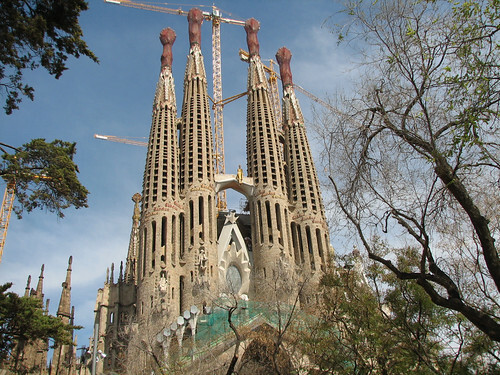 According to the organizers, the presentation will take place in front of the Sagrada Família, because it is a symbol both of the city and of Catalanness. During the ceremony, the date for celebrating the referendum will be declared and the Web site for the group, Barcelonadecideix.cat, will be presented. A macro-survey by the Open University of Catalonia (UOC), of 2,614 people, organized by Miquel Strubell, reveals the overwhelming results: 50.3% would vote Yes in a referendum on self-determination, only 17.8% would vote against, with 7.2% undecided. It is the first time that a scientific poll reveals this data. The poll also exposed that 83% of those polled believe that Catalonia has the right to freely and democratically decide its own political future, and only 15% of the total did not. The survey to which directe!cat had access, reveals that the principal motives of those in favor of a Yes vote are due, in certain percentages, to emotional reasons— for example, 29.6% admit that they are simply tired of Spain—, but combined with other reasons based on economics and democracy. In contrast, the group that mostly called on their feelings and personal convictions when deciding hjow to vote were those voting against independence. They believe that it would be economically unviable, and that it might generate a conflict or that the laws don't cover it. The study was made on a map of six zones. By territories, the Girona counties are those that have the most affirmative votes (64.5%). Right behind them is the zone of central counties, with 64.2% in favor. The Terres de l'Ebre (63.4%) would also vote in favor, as would those of Ponent (56.3%). Under 50% there are only two zones: that of Camp de Tarragona, with 47.2% and that of Barcelona, which falls to 46.3%. It's important to note, however, that the Yes vote would be the winning option in all zones and that it is in Tarragona (25.9%) and not Barcelona (19.8%) in which there is the highest percentage of No votes for the Independence of Catalonia. 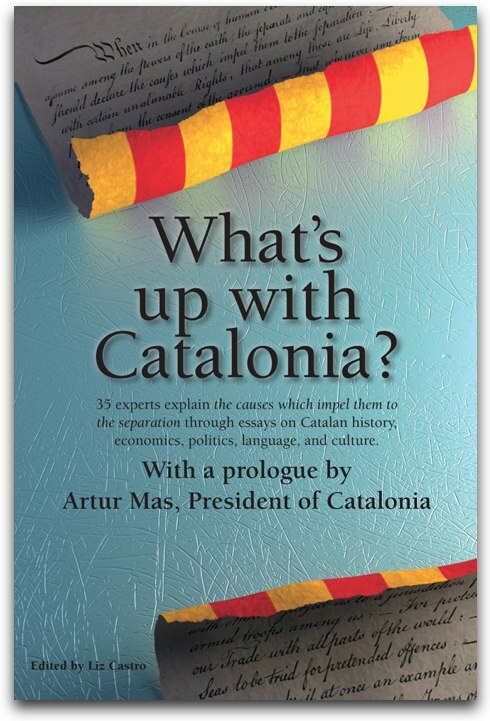 But the study also underlines one of the chronic difficulties of Catalanism and Independentism: the lack of confidence in their own ability to achieve independence. 58.1% of those polled believe that Catalonia will not get to be independent. Only 31.1% believe that it will, along with 10.7% that is not sure and thus, has no opinion. It's true that there are people who believe that the referendums, the consultations that will take place on December 13 aren't good for anything. Technically, they aren't. But symbolically, they are extremely important. Since the city government of Arenys de Munt began their referendum, we have had a path to follow, and since then we are following, what I personally and humbly feel is the only possible path. There is no "just in case" here, there are no Plan B's, there are no Plan A's, there are no Plan E's, there is just this one way. So, I encourage you to actively participate and to go vote in the referendums that will be held in your towns, villages, and cities on December 13. I hope that you will, in addition, vote in the affirmative, that you will vote Yes. But if you have to vote no, well, I wouldn't recommend it, but go and vote, that is, let's make sure that that day the percentage of people who go the polls is really incredibly high, because on that will depend, that is, the fact that a lot of people go to vote will place the topic of the referendums in the center of the political agenda. And we hope that some day our parliament will be able to take that step forward and declare the independence of our country. És cert que hi ha gent que creu que els referèndums, les consultes que es faran el dia 13 de desembre no serveixen per res. Tècnicament, no serveixen per res. Simbólicament, són importantíssimes. Des que l'ajuntament d'Arenys de Munt van començar la seva consulta va ser quan algú fa per marcar el camí i des d'aleshores estem seguint crec tots plegats una via que és la que la que personalment i humilment crec que és la única. Aquí no hi ha "en cas possible", no hi han plans B, no hi han plans A, no hi han plans E, només hi ha aquesta via. Per tant, jo us encoratjo a participar activament i anar a votar a les consultes que es facin en els vostres pobles, viles i ciutats el dia 13 de desembre. Espero a més a més que ho feu, doncs, votant afirmativament, votant pel Sí. Però si heu de votar pel no, en fi, jo no us ho recomanaré, però aneu a votar, és a dir, fem que aquest dia realment la participació sigui increïble, perque d'això dependrà, és a dir, el fet que la participació sigui gran, dependrà que el tema de les consultes el posem en el centre de l'agenda política. I esperem que algun dia el nostre parlament sigui capaç de donar aquest pas endavant i declarar la independencia del nostre pais. The referendum on December 13th is the referendum for dignity, for our national identity. Catalonia is a nation. The best way that we have to administer our national resources, to improve the wellbeing of our citizens, to deepen our appreciation of our national identity and dignity is by having our own state. I encourage you to participate in the referendum on December 13th. We have to decide what we want for our nation. Come on Catalans! We have to go vote Yes! El referèndum del 13 de desembre és el referèndum de la Dignitat, de la consciència nacional. Catalunya és una nació. I la millor manera que tenim d'administrar els nostres recursos, de millorar el benestar dels nostres ciutadans, d'aprofundir en la consciència i la dignitat nacional és tenir un estat propi. Us animo a participar en el referèndum del dia 13 de desembre. Hem de decidir que volem per la nostra nació. Som-hi catalans! Cal anar a votar sí. The map of referendums on Catalan Independence can be consulted without restrictions. The blogger Marc Belzunces has created an interactive map using the application Google Earth. In this map you can see the distribution and concentration of referendums throughout the area. In addition, the application differentiates between municipalities where "Yes" votes have already won the majority, those that will hold referendums on December 13, and those that have not yet chosen a date for their referendum. The system automatically updates the map when new towns are listed on the Coordinator for the referendums on Independence page. Alfons López Tena, executive director of Osona Decideix, delivered a petition (pdf) today to the delegation of the European Commission in Barcelona about the intervention of five international organizations in the referendums on independence that will take place in Osona (video). In addition to the commission, the petition was also addressed to the OSCE , the Carter Center, the Electoral Assistance Division of the Secretary of the United Nations, and the joint Partnership on Electoral Assistance of the Commission and the UNDP. Osona Decideix says in the letter that they have approved the regulations of the referendum based on the current electoral regulations and the criteria of the United Nations and the European Union. They point out that the entity is acting as an organ of electoral management because "the Spanish Constitution prohibits the government and the Parliament of Catalonia and the town governments from freely convoking referendums". The group also underlines the fact that the private entities are "legally able to freely convoke and organize referendums". Osona Decideix will organize one despite the fact that "the Spanish government has demonstrated repeatedly its opposition to authorizing the convocation of a referendum on the independence of Catalonia." The referendum in Osona on the independence of Catalonia has received the support of the council meetings in the towns of Vic, Manlleu, Taradell, Prats de Lluçanès, Sant Pere de Torelló, among many others, that represent, according to the group, more than 100,000 people. López Tena also points out in the letter that other referendums on the independence of Catalonia are in preparation in other towns that have received the support of their local councils, as is the case of the towns of Sant Cugat, Manresa, Berga, Blanes, Cerdanyola del Vallès and Martorell, among others, that represent nearly 500,000 people. The National Court of Spain refused the petition of the Construction Board of the Sagrada Familia to stop, as a precaution, the construction on the tunnel for the high-speed rail that will go under Mallorca Street. The court considers that there are no "imperatives of urgency" that would justify such a measure; the board, in contrast, warns that the pylons of the protective wall were being installed only 4 feet from the foundations of the temple, and not 6 feet as the project itself called for. The director of the construction project explained to the court that there was a slight discrepancy between the axis of the tunnel with respect to the axis of Mallorca Street — that is, the axis that is equidistant from both sides. In this stretch, the distance between the edges varies from 67 to 85 centimeters (some 26 to 33 inches). Because of that, the protection wall is being built at a distance that varies from 1.95 m (76 3/4 inches) and 1.15m (45 inches) from the foundation of the Façana de la Glòria [Glory Façade, that is, the side of the church that faces Mallorca Street]. This is the third time that the National Court of Spain decides not to suspend the construction in the open legal case against the location of the high-speed rail. One hundred local committees organized themselves today in the plenary council into a coordinating committee for a Referendum on Independence with the intention of convoking a referendum on December 13, even though it's possible that not all of them will be able to hold one. In today's meeting, that lasted more than three hours, a series of "national objectives" were approved, and an advisory committee was ratified that will coordinate the process of preparing the referendum in 100 of these towns, sometimes with the support of the local government, and sometimes without. In the list of towns that foresee holding a referendum on December 13 are Berga, Borges Blanques, Tàrrega, Sant Cugat del Vallès, Santa Coloma de Farners, Solsona, Vic, Vilafranca del Penedès and Vilanova i la Geltrú. Among the objectives of the plenary council is that of holding a referendum throughout the entire Principat* in the future, as long as the earlier local referendums have been successful. Uriel Bertran, member of the coordinating committee and representative for Esquerra, declared that "when this process moves forward, we will need to appeal to the international community to recognize a binding referendum for political independence". And he continued, "The level of participation on December 13 will be crucial in showing that we are prepared to exercise our right to self-government." During the meeting, a set of guidelines was presented, based on the referendum in Arenys, on what needs to be done to hold the referendum on December 13, by 100 local organizing committees, 40 of which were present at the meeting. A hundred of the local committees in charge of organizing independence referendums will meet in Arenys de Munt today, invited by the referendum coordinator, who has also invited the sovereigntist entities and political parties that want to participate. The objective is to get organized with respect to future referendums, even though not all of the committees that will hold referendums on December 13 will be present today. That is the case of Osona Decideix [Osona Decides] and a few others. Yesterday, the executive director of Osona Decideix, Alfons López Tena, submitted a petition (pdf) to five international organizations (see the video), among which are the European Commission, so that they could serve as international observers of the independence referendums. The plenary council begins at 4 in the afternoon in the City Hall building in Arenys de Munt, and it is those that organized the first referendum on independence, from this municipality of the Maresme, that are in charge of conducting the meeting. According to the agenda, in the meeting, the "national referendum objectives" will be approved and the "national technical committee will be ratified that will advise and tend the organization process for the referendums" and there will be "a few talks on organization techniques". In addition, a national secretariat will also be established and, if the majority wishes, a national coordinator as well. According to sources for the coordinating committee, the most important and necessary point is that of ratifying the technical subcommittees, and on those points the working groups will speak today: Josep Manel Ximenis will speak about organizing volunteers; Uriel Bertran on promoting participation; Lluís Pérez on logistics and infrastructure, and Anna Arqué, on communication. At the end of the meeting, the plan is that the coordinating committee announce which municipalities will hold referendums on December 13. The Junta Constructora de la Sagrada Família [Board of the Sagrada Familia Church] has presented a request to the National Court of Spain that the construction on the walls of the future tunnel of the high-speed rail trains that pass underneath Mallorca Street be partially halted. The temple's architect, Jordi Bonet, explained that this wall can not be so close to the temple, and that this will "completely" change the calculations made up until now on the possible effects on the temple and that the construction must be immediately stopped "before it's too late". The president of the board, Joan Rigol, explained that "constructing the pillars of the wall six feet away "was already risky, and constructing them four feet away is extremely worrisome." This is the third suit that the Board has presented to the National Court against the construction. So far, the two earlier suits have been denied. They also consider that Adif is pursuing a policy of "fait accomplis" because it has begun the construction on the screen that has to protect the structure of the temple before the presentation of the technical security report. It's raining cats and dogs in a good part of the country and the wind is blowing hard. That's why the head of Civil Protection, the center for emergencies, and the head of emergencies have sounded the alarm. All the Renfe commuter trains around Barcelona are running late; those that are most affected are those that go on the coast. In addition, the metro [subway] in Barcelona is also having trouble. The trains on Line 1 are not stopping at Rambla Just Oliveras in the Fondo direction, nor at Trinitat Vella in the Hospital de Bellvitge direction; trains on Line 2 are only running between Universitat and Pep Ventura; Line 3 is not stopping at Paral.lel; the interchange between Lines 4 and 5 is closed, so you must transfer via the street. In the Principat* they are continuing on alert for high winds, with gusts that can reach up to 126km/h (78mi/h), and there is also a weather alert for the rain, that may fall in a downpour and be accompanied by heavy winds. The Generalitat in Valencia has also decreed a pre-emergency for the strong winds and foresees gusts of wind that may reach 90km/h (56mi/h). For its part, the government in the Balearics has decreed a IG1 level for wind and rain, which corresponds to orange alert in the meteorological centers. In these situations, the head of the emergency preparedness group recommends securing doors and window, disconnecting electric appliances, avoiding places where things might fall and above all else, to avoid going out unless necessary. In Blanes (Selva), the storm has taken away another chunk of the boardwalk and made a hole 15 square meters in size. The council meeting in Girona on November 10 will approve a motion in support of a referendum on independence. The referendum is being promoted by the civic committee Girona Decideix [Girona Decides], who introduced it this morning. In this way, Girona will be the first capital of the Principat de Catalunya to approve by council meeting the support of this initiative. CiU, ICV and ERC--who together have 13 council members--have already said they will support the motion. The majority power, the PSC, has said that it won't declare its intentions until the vote. PSC and PP, who will vote against, only have 12 council members. The objective of the commission is to gather as many civic organizations and political groups in the city in order to hold the referendum at the beginning of 2010. Girona Decideix, which was organized by Òmnium Cultural, l'Ateneu d'Acció Cultural [Cultural Action Group] and el Casal Independentista El Forn ['The Bakery' Independentist Club], has made the first step, its introduction in public, in order to start gathering support to help organize the referendum. For now, the commission knows that the motion—which has not yet been written—will go up for a vote at the council meeting on November 10 and that the December 13th date to hold the independentist referendum is too tight a schedule. "We don't know yet which date we will choose", said Biel de Montserrat, the representative of Girona Decideix. "For now we want to invite other town organizations to join our proposal so that it has wide support," he said. From the parties, the spokesperson for the CiU municipal group in Girona, Carles Puigdemont, has already announced that his group will support the motion and that it will be necessary to make an effort that it "come out right and has majority support". From ERC, the councilperson Miquel Poch also confirmed that his group will give the motion their "broad support". For its part, ICV, the number three group in the city government, Núria Terés has also said that her group's vote will be in favor because "it is a proposal that comes from the organizations and that, in addition, has a positive goal". PSC, the majority group in the city government with 10 council members, wants to wait to see the motion before making a statement. Their spokesperson, Joan Pluma, criticized the other parties for stating their support when they still don't have the actual text of the motion, and he said that "in politics, you have to be more rigorous". "We have to study what kind of support they're asking us for before we say we will vote for it," he said. The PP will vote against. The government team is composed of PSC, ERC, and ICV. On this occasion, the alliance of Republicans and Ecologists with CiU, in the opposition, allows the motion to move forward. This combination of votes was also repeated in Setember of 2008 when ICV supported a motion presented by CiU and ERC for hanging an "estelada"* in an "important place in the city". It was the first time in 30 years that the PSC was unable to deny a motion. The naming of the referendum in Girona will bring new issues since it will be called: "Citizen referendum for independence of the Catalan Nation". The objective of the promotor, Girona Decideix, is to give it a civic character and to be able to gather together the largest number of city entities possible. In particular, the title, "citizen referendum" aims to put the emphasis on who participates rather than on who originates it. As for the term, "Catalan Nation", the entity has used it with the objective of being able to include the entire country and not only the Principat of Catalunya. In Vilafranca del Penedès, another organization has been created to encourage the City government to support a referendum on independence. The civic commission, "Vilafranca Decideix!" [Vilafranca Decides!] will present a motion in support of a popular referendum on independence in the next city council meeting, which will be held next Tuesday. In addition, they will also ask the Town to collaborate with the necessary resources, both material and economic, to hold the referendum. Presently, the commission is formed by 18 organizations, among which are ERC, CiU and CUP. Today, the civic group will organize the different work committees. *Principat refers to the "Principat de Catalunya", which is the current counties of Girona, Lleida, Tarragona and Barcelona, and does not include, for example, Valencia, the Balearic Islands, etc. The European Commission says it cannot illegalize the Falange nor prohibit demonstrations nor its fascist imagery, as it points out that individual states do have the power to do so. Ramon Tremosa, Oriol Junqueras i Raül Romeva asked and German and Italian MEPs complained that Spanish institutions allowed the Falange to demonstrate in Arenys de Munt and also asked that the exhibition of these images be prohibited. The European Commission has not yet answered the MEPs - actually it has six weeks to do so, until November 3rd—but sources close to the Vice President and to the Commissioner of Justice, Liberty and Security, Jacques Barrot, reminded ACN that the "Charter of Fundamental Rights establishes that the European Union is founded on the indivisible and universal values of human dignity, freedom, equality and the state of law". Brussels assures that "the Treaty of the European Union and of the membre communities, the European agreement for the protection of human rights and of fundamental liberties, the social charters adopted by the Union and by the Council of Europe, along with the jurisprudence of the Court of Justice of the EC and of the European Court for Human Rights guarantee these values and principals. But a spokesperson for Barrot said that the Commission does not have the power to prohibit the exhibition of fascist images and might have to respond to the European Parliament that "the power to act on the legality of parties or demonstrations lies in the hands of the member states". In their parliamentary question, presented on September 22, Tremosa, Junqueras and Romeva denounced the Falange for demonstrating in Arenys de Munt "exhibiting all sorts of fascist symbols, including flags, and singing the official hymn of the Franquist regime, 'Cara al sol'". "La Falange is the direct heir of the single party of the Franquist regime that provoked hundreds of thousands of deaths, disappearances, exiles, and political prisoners between 1936 and 1975 and currently defends the return of a national-syndicalist totalitarian state by way of violence" warned the representatives of CiU, ERC and ICV. Delta Airlines announced today that it will restart the direct flight between the airports of Valencia and New York on May 29th of next year. On October 11, the airline contracted the last flight between the Manises airport and JFK, that had been connected without stops since June 4th. During that time, there had been 18,531 passengers on those flights, with an occupancy of 83%. The nonstop service will operate four times a week and will use Boeing 757-200 ETOPS airplanes. For now, they have not specified which days or which price; this year the price was 378 euros round trip, not counting taxes. Reservations for these flights may be made through any travel agency, on the airline's web page or by telephone (900 800 743)*. You can find telephone numbers for Delta from all over the world on their web site. The president of Esquerra and candidate for the elections of 2010, Joan Puigcercós, made it to the top of Mount Puigmal, the highest mountain in Ripoll County at 2,913 meters above sea level, in a symbolic gesture which he topped off with the proclamation of his candidacy. The expedition, made up of a hundred leaders, politicians, party members, family members and journalists, took about three hours from the Vall of Núria to get to the top of the mountain. From the summit of Mt. Puigmal, at 2,913 meters, Puigcercós said that ERC will only make pacts with those who are willing to take "a step forward" toward the "construction of a Catalan State". A day after he situated the exercise of the right to decide on independence in the next legislature, he climbed Mt. Puigmal with his family and a hundred party members, some of them from the national executive. He climbed the summit as a "metaphor" for the effort that will be needed to achieve independence: "Everyone came make it to the top of Mt. Puigmal if they set themselves to do it. This country could be independent if we set ourselves to the task." Upon reaching the summit of Mt. Puigmal, Puigcercós planted the starred Catalan flag at the top, and then photographs were taken of all those who wanted to accompany him in the gesture. Among the people with him were his wife and two sons, the leader of ERC in Barcelona, Jordi Portabella, the exvice-secretary general Eduard Lópex, the representatives, Pere Bosch and Pere Aragonés, the national spokesperson for Joventuts d'ERC (JERC), Gerard Coca, among others, and the Catalan mountainclimber Xavier Arias, expert in ascending the tallest mountains, including Mt. Everest. There were cries of "Free Catalonia" and they sang "Els Segadors"*. Puigcercós encouraged everyone to make a big effort to climb another mountain, that of independence. Not present, in contrast, were the General Secretary of the formation, Joan Ridao, nor anyone in the inner circle of the Vicepresident of the Government, Josep Lluís Carod-Rovira. With the events of this weekend in Núria, Esquerra has completed the transfer of the candidacy to the presidency of the Generalitat. In April, Josep-Lluís Carod-Rovira renounced his candidacy in favor of Joan Puigcercós; ten days ago it was reported that the president of the party had communicated to Carod that he would not be included in the lists, and yesterday Puigcercós was proclaimed the candidate by 94% of the national councilpeople and announced that the right to decide would be the "vital axis" of the party. He did so in a speech (pdf) in which Carod was present, just before his trip to New York to give a conference as councilor of the Vice-presidency. In the National Council, which met yesterday in Núria, all of the members of Esquerra in the Government were present, including Carod-Rovira, and also the president of Parliament, Ernest Benach. Puigcercós overwhelming victory, with 145 votes in favor, 9 blanks and none against, can be interpreted as a blessing from the National Council on the exclusion of Carod from the Republican lists. Facing these leaders, and 600 additional people present, Puigcercós, already proclaimed the candidate, made a more solemn speech, remembering throughout the legacy of Presidents Francesc Macià and Lluís Companys. He said that he was taking on the electoral leadership of Esquerra with "honor, humility and responsibility" and with appreciation for those who have managed autonomy in the last thirty years, but with the conviction, he said, that it is necessary to begin a "new era" that sets "new horizons". The right to decide, a "vital focal point of the party"
"We have placed the right to decide at the center of the political discourse," he declared. According to what he said, in the next legislature, "we Catalans have to be able to exercise the right to decide, to decide about our liberty and to decide about our independence. We have to be able to decide what we want to be, that is a democratic right. And it has to be an important focal point for us, next to social justice and a change in the economic paradigm." Puigcercós, who claims that ERC is the "motor of change" for Catalonia, defended the historic social conquests driven by Republicans, and he defended politics as "the only valid instrument in democracy" because "the absence of politics is demagoguery"; politics as a tool "by those who defend its honor" to combat "corruption and the corrupted". "The right doesn't politics: it has the economic power, the media power, and other strategic powers" that "normal people will never have" he said. And he considered that ERC had been successful in keeping the defense of the economic accord and the criticisms of the fiscal deficit at the center of the political debate and that independentism has stayed pragmatic and non-extremist. The plenary of Sant Jaume de Frontanyà, the smallest town in Catalonia, has given its support to holding a referendum on independence. The proposal, brought forth by the mayor's office, was unanimously approved yesterday. The mayor, Ramon Vilalta, of ERC, will get in touch with Decidim.cat to get support on how to hold the referendum, as there is no entity nor individual that can convoke it. Today at noon in Tremp, they will also decide whether to hold a referendum. Now, the referendums on independence extend not only within our country, but also throughout Europe, especially because of a meeting held last week in Vienna. Taking advantage of the presence in that city of representatives of various Catalan communities in Europe, on Saturday they held the first-ever meeting on the role of the Catalan community abroad in the process of self-determination for Catalonia. Catalans abroad don't depend on "party ties"
According to the organizing commission, Consulta 13-S*, there were more than 50 participants, from Andorra, Austria, The Basque Country, Belgium, Denmark, England, France, Germany, Iceland, Luxembourg, the Netherlands, Portugal, Scotland, Spain, and Switzerland. There was also a group of participants from Catalonia. In order to get first-hand information on the formalization of the referendums and on the evolution of the movement, the organizers of the referendum in Arenys de Munt, Josep Manel Ximenis and Jordi Bilbeny, were also invited. The invitation said, among other things, "Maybe in a not-so-distant future it will be necessary for European public opinion to understand us in order to welcome us." And also, "The citizens that live and work in our respective adopted countries constitute the real lobby, that of the group of citizens who don't depend on party ties." And in closing, "We can prepare the terrain of public opinion in an independent fashion and explain the Catalan case from a realistic, honest, and open Catalan perspective." *Vullvotar means "I want to vote"
The president of F.C. Barcelona, Joan Laporta, has made a call to "rise up and face those who treat Catalonia with intransigence every day of the year." (audio) Laporta made the statement in a speech that he gave this morning at Montjuïc Castle, after participating in the torch march organized by Esquerra to give homage to Lluís Companys on the anniversary of his execution by firing squad. Also today, the Generalitat will ask the Spanish Supreme Court to revise Companys' sentence, so that it be nullified. "The memory of that assassination must make us speak clearly and stop making us afraid, and it should help us act accordingly all the rest of the year," declared Laporta, who asked himself what Companys would think if he could judge what Catalonia is doing currently. And, accompanied by the president of Esquerra, Joan Puigcercós, he remarked, "They often try to silence politicans by appealing to your wish for the common good. They've tried to silence me as well, many times." (audio) Laporta also remembered the former president of Barça, Josep Sunyol, who was also executed by the Franquist regime. For his part, Joan Puigcercós praised Companys and defended political discourse as the tool that permits going forward in a difficult moment. Puigcercós added that "social justice" and the liberty of Catalonia is "the same thing". Puigcercós added that "it's all downhill from here", since "the most difficult part has passed". "That resurgent Spain that seemed like it was going to be a new power in Europe," he said, "is a model that is entering a situation of economic and political crisis, like the Spain that lost its colonies in Cuba and the Phillipines." According to Puigcercós, "there remain other colonies, like Catalonia, a political colony that hopes to emancipate itself." The government of Catalonia will meet today in an extraordinary plenary to demand from the Spanish Supreme Court the revision of the sentence against Companys. "This has been a pending matter for the Catalan government, and it comes a bit late," said Josep Cruanyes, the spokesperson for the Commission for Dignity. It required the petition of a whole range of entities to pressure the government to ask for the nullification of the sentence. Cruanyes has asked the Catalan Executive to, if the Spanish Supreme Court does not revise the sentence, continue to demand its nullification until it succeeds. For now, the Catalan government must approve an agreement that invites the Catalan attorney general to ask the Spanish Supreme Court to revise the sentence. This is because, with respect to revising sentences, the only ones who can intervene are the defendents, their relatives, or the attorney general. In accordance with the law of criminal justice, the body with the power to settle a suit for revision, and to declare, if that were the outcome, the nullification of the given sentence, is the Spanish Supreme Court. "The Spanish government has not done its job"
"The Spanish Executive should get involved and work toward the revision of Companys' sentence," according to Cruanyes, who thinks that the Spanish government has not done its job. He also believes that, if the Spanish Supreme Court denies the revision of the sentence, it will be the responsibility of the Spanish Executive. The Spanish government has not made any progress toward stopping the process against Companys, despite promises made by the Vice-president, María Teresa Fernández de la Vega, five years ago at Montjuïc. When she heard about the initiative by the Catalan government, De la Vega only said that she "respected" it, but that it was the courts who have the "word on this decision, and not the Spanish government". Similarly, the previous Spanish Minister of Justice, Mariano Fernández Bermejo, when he was asked a year ago, how the Spanish Supreme Court would act in case of a suit of nullification of the sentence, answered that he couldn't know and noted that the decree of the development of the law of Historical Memory was still in the State Council. For now, Zapatero's government has limited itself to acts of moral reparation for Companys, as the president's granddaughter, Maria Lluïsa Gally and the Interior minister, Joan Saura, asked Bermejo for a year ago. In effect, Gally finally received, yesterday in Mexico, the document of moral reparation from the current Spanish Minister of Justice, Francisco Camaño. But the ex-president's granddaughter said that the document only has meaning if it serves to achieve the nullification of the summary judgment against Companys. The Minister of the Interior, Joan Saura, sees it similarly, and said, "The reparation of Company's memory is the first step in the nullification of the sentence that condemned him." Lluís Companys is the only European president to be elected democratically and then executed by a fascist regime. His execution by firing squad was sentenced by the War Council of General Officials, held in Barcelona on October 14, 1940, which accused him of rebellion. A sentence which has never been annulled and that the government is now asking be revoked. A year ago, Saura and Companys' granddaughter met with Bermejo to ask for an act of moral reparation for the president. Among the documents they gave him were a letter from Companys' granddaughter that says her grandfather was executed because he was "the maximum institutional representation of the Generalitat de Catalonia." This was the first step so that the Spanish Supreme Court could begin the paperwork necessary for the nulllification of the military sentence that was handed down without due process. *Barça is Futbol Club Barcelona, of which Joan Laporta is the current president. **Esquerra is Esquerra Republicana de Catalunya, or "Republican Left of Catalonia", an independentist party, of which Joan Puigcercós is the current president. The Town of Vic approved a motion today in support of the city entities that are organizing a popular referendum on independence. The motion, with a generic and little defined text that pleased the organizers, was approved with the favorable votes of the groups that had jointly presented it (CiU, ERC and CUP) and ICV-EUiA. The Plataforma per Catalunya abstained while PSC, which governs jointly with CiU and ERC, voted against. Alfons López Tena and Uriel Beltran attended the vote. In total, 10 members of the group Osona Decideix (Osona Decides) were present at the meeting. The group is in charge of coordinating the referendums that will be held in the Osona municipalities. Uriel Beltran said that Vic was joining the "wave" of Catalan towns that will hold referendums and pointed out the importance of the capital of Osona [Vic] which he said had a "long Catalanist tradition". Josep Maria Vila d'Abadal (CiU), mayor of Vic, said that the approved motion is not a minimum but a "maximum", given that they were supporting an initiative of the private citizens of the town and that the motion had been able to be above partisanship. In this way, it becomes a recognition of the role of the public. The mayor of the Osona capital considers that the public has a right to be recognized and demands that when the referendum is held, that every citizen be able to vote freely. The councilperson and spokesperson for CiU, Xavier Solà, was in charge of coordinating the approved text. He says that the motion supports ideas like the "democratic strengthening and involvment of society". Solà says that the motion was begun by three groups with "similar national objectives" although at "different speeds". The lieutenant mayor of Vic considers the motion to be just a "gesture" but that such gestures in politics and institutions are "very important". From ERC, the selectperson Joan López defended the stance that it "was more important to have a minimal agreement than no agreement at all". For López, the process followed since the referendum in Arenys de Munt has put "everyone in their place". López says the State is "acting ridiculously," as it tries to "fit" a collection of autonomies that is "leaking out on all sides". López lamented that they always say it's "not time" for self-determination and he said that the process has begun and there's no going back. The spokesperson for CUP, Laia Jurado, affirmed that with this motion, Vic could decide and that some citizens, who in other circumstances might not be motivated, could get more active. Jurado says that the referendums are a democratic act. From ICV-EUiA, Xavier Tornafoch says that they voted in favor of the motion in support of the "Vic entities" because he believes that the referendum must be a movement of private groups. The second lieutenant mayor and spokesperson for PSC, Josep Burgaya, said that the strategy of holding popular referendums is "respectable but wrong" because they are trying to force independence on the rest of us. Burgaya criticized the process by saying that the referendums "cheapen" the issue and are a "pale resemblance" of a future decisive referendum at a higher level. For the PSC spokesperson, the motion and the referendums are creating false hopes and are forcing a "false dilemma" that the public doesn't really have. The spokesperson for PxC, Josep Anglada said that the motion was "ambigous, decaffeinated and minimal" and that it wouldn't be useful for "absolutely anything". For Anglada, the motion is just another "pre-election party" to create a smokescreen that will hide other problems, like the economic crisis. In the general assembly of members of Reagrupament that begins today in Barcelona, Joan Carretero made his bet for a unilateral declaration of independence. Carretero added that independence is "the only decision that we don't need to ask permission to make' and that it is within Catalans' reach. He also said the estatut de Catalunya [Catalonia's Statute of Autonomy] was 'miserable'. Carretero has the numbers to be elected president. You can follow the assembly live. In the assembly, the Strategic Plan will be approved, and the members of the board will be selected, who will choose the president. The president of F.C. Barcelona, Joan Laporta, in the end did not attend the assembly, even though he was invited. Laporta expressed his affinity with the group led by Carretero. Other familiar faces that have indeed attended the assembly are the writer Isabel-Clara Simó, journalist Miquel Calçada, sociologist Salvador Cardús and the legendary leader of ERC, Heribert Barrera. Reagrupament's strategic foundations, with a look to the 2010 elections, are working for a democratic regeneration and the unilateral declaration of independence by Parliament. The declaration should be able to be proclaimed with a majority of members who support it in the Parliament, in fact Carretero has said that his objective is that Reagrupament win an absolute majority in the elections. If that didn't happen, he would not accept being a part of a coalition government and he would work during the legislative session for 'democratic regeneration'. This 'regeneration', which is another of the basic objectives in the plan, means that the terms and leadership positions would be limited, salaries would be made public, an electoral system with open lists would be established and public spending would be controlled. After the approval of the strategic plan, the members will choose the board of Reagrupament, which will then meet to choose the president. It's probable that the leaders in this first board are, in addition to Carretero, Rut Carandell and Jaume Renyer, both former members of Esquerra. In fact, within Reagrupament, there are both ex-members of Esquerra as well as people from Convergència and other parties and sovereigntist groups. After the congress, Reagrupament will hold primaries in order to decide on the lists that will be presented for the elections to Parliament. '[REC]2', by Jaume Balagueró and Paco Plaza, opens the International Fantastic Film Festival of Catalonia today. The first part, REC1, was presented at Sitges as well in 2007. In addition, Malcolm McDowell, who played the part of Alex DeLarge in 'A Clockwork Orange' (1971), will receive the Grand Honorary Award. Among the films in the festival's Offical Section will be the Catalan 'Ingrid' by Eduard Cortès. The festival closes October 12. The oldest Fantastic Film Festival in the world continues to offer a wide gamut of films, from 'Moon' (Duncan Jones), 'Grace' (Paul Solet), 'Kinatay' (Brillante Mendoza), 'Thirst' (Park Chan-wook), 'Yatterman' and 'Crows II' (Takashi Miike), 'Orphan' (Jaume Collet-Serra), 'The Countess' (Julie Delpy), and 'The Final Destination in 3D' (David R. Ellis). Homage will be paid this year to 'Alien' on its 30th anniversary and to several other movies from the '80s, with invited guests related to the most significant titles. This review of classics will include the North American film, 'The Shining', not released in our country, with extra scenes and terror, and 'A Nightmare on Elm Street', with the presence of John Saxon. Another new feature this year will be the retrospective, 'Els altres fantàstics' [The other fantastical movies], based on productions that support this genre that is otherwise not very common among Catalan moviemakers. 'The Road', with performances by Viggo Mortensen, Kodi Smith-McPhee, Charlize Theron, Robert Duvall and Guy Pearce, is one of the most awaited films this season and will close this year's festival on October 12 (trailer). It has been well received at the festivals in Venice and Toronto, and is considered one of the best productions of the year. The referendum on independence for Catalonia that was held on September 13 in Arenys de Munt has been, without a doubt, the first section in a new chapter in the history of independentism. While on the Catalan front there are more and more city governments who are approving motions in support of these referendums, now this initiative has crossed the border and arrived all the way to Galicia. "In Arins like in Arenys: Independence" is the lemma that the Sei o Que Nos Figestes... Nos Últimos 525 Anos Organization is using to promote the referendum that they will hold this Saturday, October 3 in the town of Arins, near Santiago. The vote will begin at 6 in the evening, after a conference on "The passionate strategy of popular referendums" by the professor of Economic Structures at the University of Santiago de Compostela, Ramom Lôpez-Suevos, and which will also feature the presence of representatives of the Lliga Anticolonial [Anticolonial League]. The question that they ask is: "Do you want Galicia to continue being a colony like during the last 525 years or, on the contrary, would you like it to be, from this point forward, something completely different?"